Most businesses using Google Adwords for their website will set a daily budget cap for their PPC campaigns. Intuitively, this seems to make sense. Setting a daily cap ensures that you don’t exceed your desired level of spending and helps to keep costs under control. In practise, however, setting a daily cap that prevents your ads being shown could be reducing the growth of your business or covering up a key flaw in your marketing strategy. 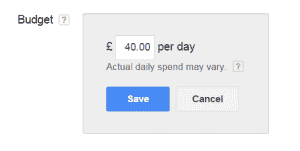 This post explains why I believe that your Adwords campaigns should be capped, not by daily budget, but instead controlled by the amount you are bidding on each keyword within your campaign. Do you know your Cost per Acquisition? In that time, you received 2,000 clicks on your ads costing you a total of £3,700 ( or £1.85 per click). Let’s now imagine that those 2,000 clicks resulted in 50 sales. A Conversion Rate of 2.5% (2,000 clicks divided by 50 sales). If we now divide the £3,700 that you spent on the campaign by the number of sales it generated, your cost per acquisition is £74 . 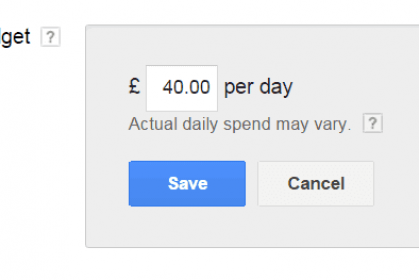 In other words, you are spending £74 on Adwords to produce each new sale from your website. Now let’s assume that you made an average of £120 profit from each new customer that this campaign generated. That leaves you a net profit of £46 (£120 profit minus £74 acquisition costs) for each new customer you gained from Adwords. 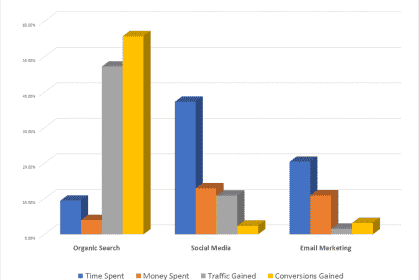 • Some of your customers might make repeat purchases without clicking on more of your ads. Taking these factors into account you should calculate a reasonable approximation of your Cost per Acquisition. By doing an analysis of your sales records you should be able to calculate your average Customer Lifetime Value (CLV). 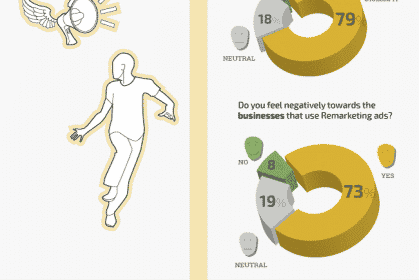 This will give you an understanding of how much each new customer is worth to your business over the course of your business relationship. For example, several of the people who contact me to book a training course may go on to hire me to perform an audit of their website. That means that the average Customer Lifetime Value of my clients is higher than the initial profit I made from just the training course. Once I know the average Customer Lifetime Value for my clients I can then calculate the maximum amount I am able to spend to gain each new customer. Instead of setting an arbitrary budget for your campaign, you should instead be adjusting your keyword bids so that your Cost per Acquisition is always below your Customer Lifetime Value. 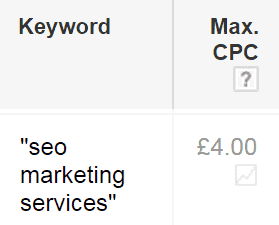 Is there ever a valid reason to cap my Adwords budget? a) You are still in the early states of testing your Adwords campaign and have not yet established the most profitable level for your keyword bids. b) If you are not yet able to calculate your Cost per Acquisition or Customer Lifetime Value and so have no real idea whether or not your campaign is actually profitable. c) Your business suffers from cash flow issues meaning that the money is coming in slower than it is going out. d) Your business has a limited capacity to produce the product or service. (There is little point paying to gain new customers if you can’t fulfil their orders). In some industries, you might be faced with a choice of bidding on high-volume, expensive keywords or affordable keywords that offer little or no search volume. 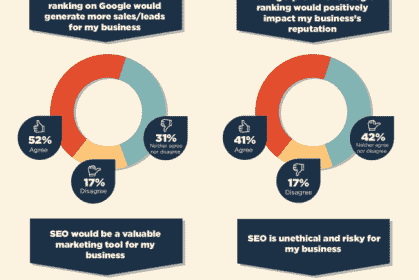 The fact is that Adwords is not a viable marketing channel for every business. I am however proposing that if you do have keywords in your campaign producing conversions at an affordable level, it makes little sense to prevent these ads from showing by capping your campaign budget. I have received a few comments via Twitter from people telling me that this advice is not applicable to small businesses. I assume their argument is that a small business couldn’t afford to run a campaign with an unlimited budget. In most cases, I would completely disagree. If your keyword bids are set at a level that makes your campaign profitable, your campaign will be automatically limited by the inventory of clicks available at your maximum keyword bids. If I offered you a deal in which you received a guaranteed £1.50 return for every £1.00 you gave to me, why would not want to give me as much money as you had available? 3) Calculate your Customer Lifetime Value . 4) Adjust your keyword bids to ensure that your Cost per Acquisition is always lower than your Customer Lifetime Value.